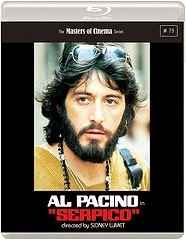 Discussion of Serpico over the years has often focused on Al Pacino's Oscar-nominated turn in the titular role and, with this new release by Masters Of Cinema of Sidney Lumet's film, it is still Pacino's performance which looks to be the element most likely to survive in the movie pantheon. The accompanying booklet features three essays. Two of them are at least partially Pacino-focused. This was my first viewing of Serpico and that is, I will admit, problematic. Approaching some of a formerly great actor's finest work after having seen a smattering of his worst is not the best way to evaluate performance. Pacino is now approaching parodic levels, his gusto and verve replaced with a reliance on sending himself up or earning his way in mediocre-to-terrible offerings with mediocre-to-terrible talents. Imagine seeing Heat for the first time now. The iconic 'and you've got your head... ALL THE WAY UP IT' line reading wouldn't seem as 'ferocious' as it would vile and overplayed: much like Pacino's recent output, topped by his appearance in an advertising campaign for Sky. With that in the background there are elements of Pacino here which feel unnecessarily histrionic. An opening spot of incredulity towards a colleague ('you don't like me?') feels like a school-child whine, whilst increasing pressure during the third act prompts several pompous and grandstanding outbreaks in Frank Serpico's ground-floor flat. The current incarnation of Pacino infects Serpico rarely though. For the most part, this is a fine actor enjoying embodying a character who represents the anti-establishment from inside the establishment: surface mirrors substance. Serpico's reluctance to tow the company line, when the company line is corruption and bribery, is mirrored by his inability to conform to sartorial norms. The hippy police officer: free love, Old English sheepdogs and terrific facial hair. It's no coincidence that the opening essay of Masters Of Cinema's booklet is entitled 'Serpico And The Invention Of Hair Acting'. Whilst Pacino and his hair have the task of making Serpico the person interesting, director Sidney Lumet must do the same with a narrative not far removed from your common or garden Cop Thriller. As a fully paid up member of the fan club for this particular genre, even I will admit that making the films within it singularly interesting is hard. They are prime 'easy watching' material, with often few quantifiable pieces with which to differentiate themselves from that which came before, or was to come after. How then has Lumet made a film which not only found high success at the time but has endured and continues to do so? At least in part, the answer is that he doesn't. 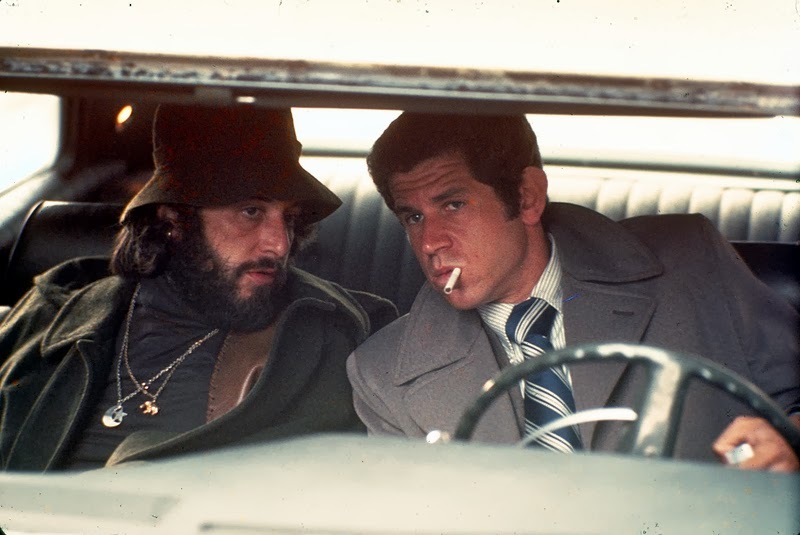 Serpico follows Cop Thriller rules and principles, mixing in enough passable action to supplement the more brain-intensive plot elements and emotive character moments, as a conflicted Serpico moves to resolution. The invention then, the reason Serpico somewhat stands out, is more subtle. The main answer for me, especially when considered in context of many of today's films, is the choice of antagonist. It's revolutionary really, because there isn't one. There's no focus on a police of chief to bring down, no single crooked cop who tries to take Serpico out: the antagonist is antipathy, corruption and a massed approach to turning a blind eye to daily-seen bad deeds. Serpico works because it doesn't need a final act boss battle - though it does, in its own way, get one - because it doesn't follow the formula of many films before or after it. Serpico's battle is internal and institutionalised and, for that reason, it ends up a battle worth watching. Today's crop of Superhero films could take note. I agree that Pacino's not really killing it these days for the most part and can be over the top, but I haven't found it tough to shift back into his earlier material. I watched Serpico for the first time maybe five years ago, and I found it to be a very sharp cop movie. You rightfully call out the way it indicts the system more than any normal villain, and Pacino is really strong in the lead part. Definitely enjoyed getting back to a good Pacino. Feels like ages since I've been really impressed by him.